Yesterday more bad news was delivered to the LPGA with the announcement that Lorena Ochoa, the Tour’s best player, would formally retire on Friday. Even with losing event sponsors and top-level players – one marketing channel that still holds a lot of opportunity for the Tour is the main LPGA website. 1. A completely updated design, content strategy, and overall experience for fans, players, events, and sponsors. The current site gives a cold feeling, almost like visiting a version of IBM or a bank. There is no excitement, no strong visual player presence, no LPGA culture – and that needs to change ASAP. 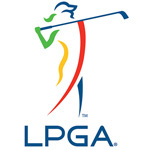 This point really can’t be stressed enough – the current site is not helping the LPGA brand in any way at all. 2. Greater level of social media integration across the site – down to the player profile pages. It’s time to start thinking outside the box on ideas – looking at best practices from other leagues/series and getting creative. Don’t limit yourself to Twitter, Facebook, and YouTube – and include downloadable widgets and mobile apps. 3. More strategic and showcased opportunities for sponsors on the site. The site can easily be setup to showcase that week’s event sponsor throughout. The stakes need to be raised with section sponsorships, unique content sponsorships, an overall presenting site sponsorship, and more opportunities than side ad boxes and a bottom footer banner. 4. A proactive stance & program with players to promote the Tour, Events, and their own personal sponsors online. Every single player on the LPGA Tour should have some form of an official website and complimentary social media channels. There are really endless opportunities here, and it’s amazing the Tour doesn’t fully utilize their best asset (THE PLAYERS) more online to promote the Tour, Events, and Sponsors in what is the most cost efficient channel possible. 5. A true multimedia (ie video) platform and strategy that the site is built around: event highlights and interviews, Pro-Am highlights and interviews, weekly online show, mic up players during practice rounds and follow them for 9 holes, include a featured group or player and follow them in an event for a round each wk. Same as 3: It’s time to start thinking outside the box on ideas – looking at best practices from other leagues/series and getting creative. Note – we’ve tried contacting upper management at the LPGA last year and this year, and also reached out to their agencies with zero response, so apparently the feeling is things are going great.